Dear EarthTalk: I imagine you've been down this road before, but what's hot in the green-friendly sunscreen department nowadays? -- Elaine Mayer, Ocean City, Md. Most of us assume that all we need do to prevent sunburns and skin cancer from sun exposure is to slather on any of the widely available sunscreens on the market today. But the nonprofit Environmental Working Group points out that this may not be the case, and that consumers should be careful about which sunscreens they trust for themselves and, more importantly, for their kids. According to EWG, some researchers have detected an increased risk of melanoma skin cancer among sunscreen users. "No one knows the cause, but scientists speculate that sunscreen users stay out in the sun longer and absorb more radiation overall," reported EWG. Scientists also suspect, EWG said, that free radicals, which get released as sunscreen chemicals break down in sunlight, may be playing a role. Most sunscreens screen out some of the ultraviolet B rays from the sun that lead to visible sun burns, but many do not protect against the potentially more damaging ultraviolet A rays that penetrate deeper into the skin and may facilitate the development of skin cancer later on, regardless of how high a sunburn protection factor the sunscreen may have. Also, EWG warns that many common sunscreen ingredients generate free radicals that can damage the body's DNA and skin cells, accelerating skin aging and potentially causing skin cancer in the process. But just because some sunscreens can't be trusted and overexposure to the sun is unhealthy doesn't mean staying indoors all the time is a viable solution. Getting some sun is good for you, as the body converts it to Vitamin D, an essential nutrient that facilitates good health and prevents a wide range of diseases. So what's a sun lover to do? The International Agency for Research on Cancer recommends wearing protective clothing, seeking shade, and timing outdoor play to avoid peak sun. IARC adds that sunscreen still has a place in our lives to augment these other sun exposure minimization tactics. But which sunscreens do live up to EWG's stringent standards? The major choice is between chemical sunscreens that break down quickly, penetrate deep into the skin and may disrupt the body's hormone system, and mineral varieties that can contain potentially irritating and damaging nano-scale particles. According to EWG, mineral sunscreens are the better choice, as they protect against both UVB and UVA rays, remain effective longer and don't contain as many dangerous substances. Some leading mineral-based options come from Alba Botanica, Beyond Coastal, ECO Logical Skin Care, Karen's Botanicals, Kiss My Face, Poofy Organics and Solar Sense, among others. For those who don't like mineral based sunscreens, which can be chalky and leave a white film until washed off, EWG recommends sunscreens with avobenzone (3 percent for the best UVA protection) and without the notorious hormone disrupter oxybenzone. Some leading non-mineral choices are available from manufacturers including Bull Frog, Ocean Potion, Sunbow and Vichy. Contacts: EWG's Sunscreens 2012, breakingnews.ewg.org/2012sunscreen/; IARC, www.iarc.fr. Agrofuels, also known as biofuels (e.g., ethanol, biodiesel), are fuels derived from plants instead of from oil or other fossil fuels. What makes them appealing to environmentalists and others, at least in theory, is the fact that they can be a carbon-neutral energy source. Plants take in and store carbon dioxide (CO2) during the process of photosynthesis. When plants die, whether through natural causes or when humans harvest them, this stored CO2 is released back into the atmosphere in an age-old cycle that doesn't contribute any additional greenhouse gas into the system. But when we extract and burn oil and other fossil fuels, we are taking CO2 that would have otherwise remained locked up deep below the Earth's surface and releasing it into the atmosphere, essentially overloading the planet's carbon balance and leading to more global warming. But as things stand today, the overall process of producing agrofuels is far from carbon neutral, given the fossil fuels expended in growing, harvesting and processing the crops (petroleum-based fertilizers and pesticides, diesel fuel to run tractors, etc.) and then distributing them (via carbon-spewing trucks, trains, ships and airplanes). Of course, growing such crops organically and processing and distributing them without fossil fuels would help close the gap between today's reality and the dream of carbon-neutrality. Another major hurdle for agrofuels is the fact that harvesting crops across millions of acres for fuel instead of for food would leave many hungry mouths to feed in the U.S. and elsewhere. Researchers are hoping to overcome this conundrum by generating agrofuels from less land- and input-intensive "crops" such as switchgrass, sugarcane, wood waste or even algae. The latter "feedstock" is especially promising because it can be grown in non-traditional agricultural settings including indoor labs and even on off-shore ocean platforms. But regardless of the wow factor, producing small quantities of fuel from such experimental crops costs hundreds times more than getting oil to gas pumps, so researchers have a long way to go before agrofuels made from these nouveau source crops can make inroads into the mainstream. Given the issues with producing agrofuels domestically, suppliers are increasingly looking to source them abroad, essentially trading one set of foreign fuel producers for another. But according to Friends of the Earth International (FOEI), "Land grabbing by large companies and agro-businesses to the detriment of local livelihoods, forests and other ecosystems, with gross violations of human rights, have been witnessed in many countries where agrofuels are produced." FOEI added "The production of agrofuels ... is generating serious environmental damage and eroding the people's ability to control the production, trade and consumption of food, given that more and more agricultural land is being devoted for energy crops." As recently as five years ago environmentalists were hailing agrofuels as a viable alternative to fossil fuels in the face of increased global warming and skyrocketing oil prices. 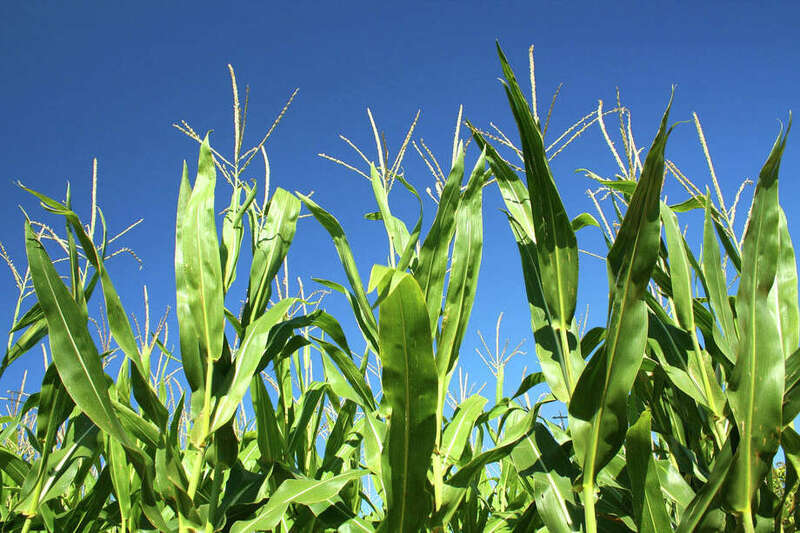 But as the agrofuels industry starts to grow up, many are wondering whether or not pursuing such a baggage-laden alternative is really worth the trouble, especially in light of more promising developments in other sectors of the renewable fuels sector. Contact: Friends of the Earth International, www.foei.org.